In today’s Szalai & Szalai DDS blog we will discuss how pregnancy impacts your dental health. We are Drs. Greg & Joanne Szalai and we want all Allen Park expectant mothers to realize the importance of good oral hygiene during pregnancy. Because of the changes going on in a pregnant woman’s body there are potential dental health issues that may arise. Many Allen Park women experience morning sickness accompanied with vomiting. The gastric acid increases the acidity in the mouth which can easily lead to enamel loss and tooth decay. Heightened levels of progesterone and estrogen may relax the ligaments that support the teeth causing them to loosen. We are able to diagnose tooth decay at our practice using a diagnostic dental laser. Most Allen Park residents have experienced gingivitis, but during pregnancy the hormonal changes increase your risk for gingivitis. Without proper dental care gingivitis can lead to gum disease. If you are a pregnant Allen Park area woman, my staff and I at Szalai & Szalai DDS recommend using a soft bristled toothbrush for daily brushing. Floss carefully and rinse your mouth with a fluoride wash. If you experience morning sickness, clean your mouth with a baking soda and water mixture. If you are planning to become pregnant, it is a good idea to have a cleaning and exam prior to your pregnancy. 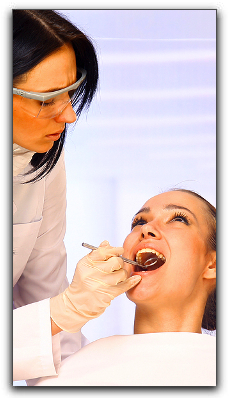 If you need any dental procedures, it is a good idea to get them done as soon as possible. If you experience any dental problems during your pregnancy please call and schedule an appointment at 313-928-2323. Untreated dental disease can affect your overall health. At Szalai & Szalai DDS we not only offer excellent dental care to our pregnant clients, we provide quality preventative care and Allen Park general dentistry for the entire family. Our Allen Park patients can expect professional cosmetic dentistry, dental implants, and restorative dentistry.